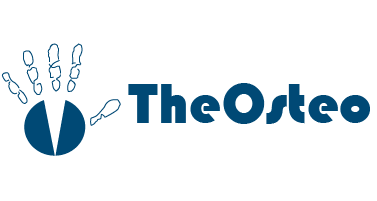 TheOsteo Clinic | massage groupon deal reading, osteopath groupon deal reading. groupon deals for osteopathy and massage treatment. Thank You for purchasing my Groupon offer! I hope this offer allows new clients to try my services in an economical manner whilst also providing a ‘Thank You’ to my current clients who are greatly appreciated. When may I use my Groupon? When Can I make my Appointment? You can make your appointment as soon as you actually have your Groupon! Groupon purchasers can schedule appointments according to availability Monday- Friday from 9am to 5pm each day. Yes, an appointment is required. Appointments assure that you will have little or no wait time prior to your treatment. To make an appointment please call 0777 56 41 732 or email me theosteo@live.co.uk please have a date and time in mind and quote your Groupon number (under the barcode). As long as you give at least 12 hours notice then you can arrange to reschedule for another possible date. If no/short notice is provided then you MAY MISS your opportunity depending on appointment slots and Groupon deal expiration date. Please plan to arrive a few minutes early since there is some paperwork that needs completing before your session and your Groupon will need to be processed. If you are late you will receive only the amount of time left for your appointment. I didn’t get to purchase the Groupon deal on the Groupon site, May I purchase it directly from you? No. All purchases for the Groupon deal must be done on the Groupon site. Is it hard to get an appointment? Are some times of day easier to get? No, it’s not hard to get an appointment if you’re a little flexible. Some times and days are more in demand than others and are harder to get unless you plan ahead. For instance, appointments early in the morning before work and appointments right after work like 5pm are popular and are harder to get – you might have to schedule those times two weeks or more ahead. It’s possible, if it’s available, I’ll get you on the schedule when you call and will always try to make the appointment as close to your preferred time as possible. I called for an appointment but just got your voicemail, now what? I do try to answer all calls as they come in but I do not answer whilst in a treatment session. Please leave a message on the voicemail or a text message with your name and phone number, the best time to call, the best time & day for your treatment, and Groupon barcode number. Your call actually is important to me and I do return all calls in the order they are received. Do I need to bring my Groupon with me to the appointment? You can forward the redeemed voucher by email prior to your appointment or you bring your printed Groupon voucher/ Smart Phone App but this MUST be on the day of your appointment. The email notice that you’ve purchased a Groupon deal is NOT the actual Groupon voucher and will be invalid for receiving services. Is there any paperwork that I will need to provide? Prior to your appointment you will be asked to fill out a short health questionnaire this can either be done on the day or sent to you via email to save time. Can I schedule two sessions, one for me and one for a friend, back to back? Can I spread the appointment time over more shorter sessions? Can I use two 60 minute sessions during one long session? No, as it says on the Groupon you may only use one per visit. Can I use my Groupons for a couples massage? No, currently there is only one practitioner and that’s me. I would prefer a female therapist to provide the treatment, is that option available? Can the treatment be performed from any other clinic or location? I messed up and didn’t use my Groupon from your offering and now it’s expired, will you extend the expiration date?